It’s Beer Week in Los Angeles. Need we say more? With the exception of Ed O’Neill not knowing who Britney Spears was when she asked him for a photo in the lounge at LAX, this week has been a heart-wrenching and sobering one. So let's get back in touch with humanity this weekend by exploring Los Angeles. This weekend, Smorgasburg has landed in LA, hip-hop is happening, and as always, there’s beer. Read on. This weekend, The Music Center is bringing a slew of hip-hop fusion dance events to DTLA. 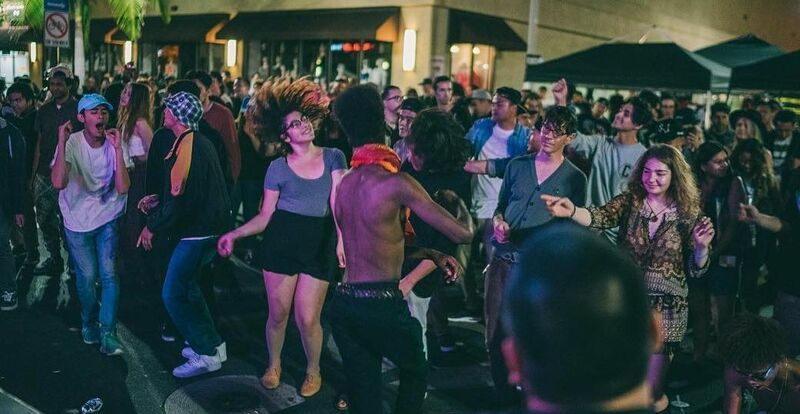 More than just live performances, there will be international dance competitions, parties, chats, demonstrations and the return of Beat Swap Meet to LA. If the panel discussion “Ain’t no Half Steppin’: Dance From Soul Train to B-Boys” doesn’t appeal to you, how about a performance by the all male dance company, Compagnie Kafig or a hip hop for beginners dance class? And there’s so much MORE. Whatever you choose to attend, don’t forget to show #hiphop4days some love on social and follow along on snapchat with our friend @MikethePoeTLA. Deets: The Music Center and Grand Park; More info on specific events HERE. Poke may have won over the special place in Angeleno’s hearts where cupcakes used to be, but this event is still about as LA as it gets. On Friday night, eat fresh (the cupcakes are vegan, OK?) 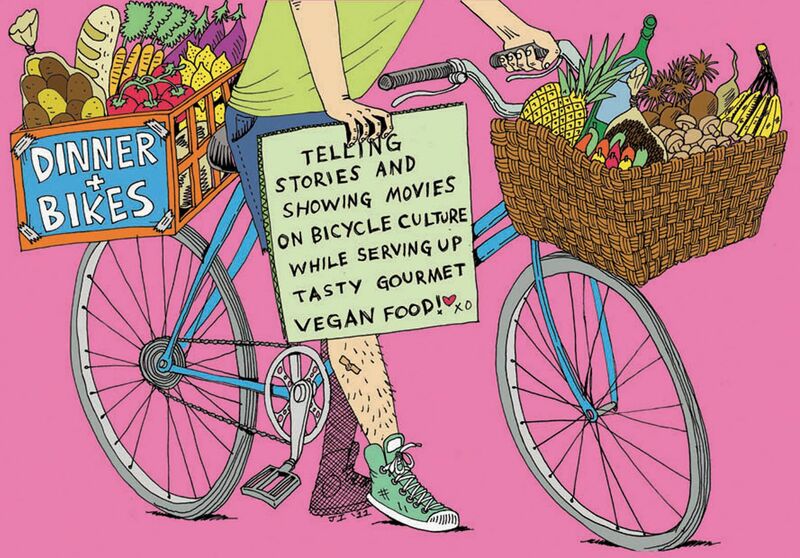 with traveling vegan chef Joshua Ploeg and talk bike culture with Elly Blue and Joe Biel of Groundswell. This is a zero waste event, and attendees who RSVP in advance will get folding stainless steel sporks. Am I the only one who has a spork collection going? Yes? Well there will also be commemorative pint glasses and a raffle to win beach cruisers. Deets: Breeze Bike Share HQ; 6 - 9 p.m. Tix are Free, Reserve them HERE. It’s beer week, fam. And you know what that means? From June 18 - June 26th you can zigzag across Los Angeles and pretend like you’re Paul Giamatti in Sideways but with beer. 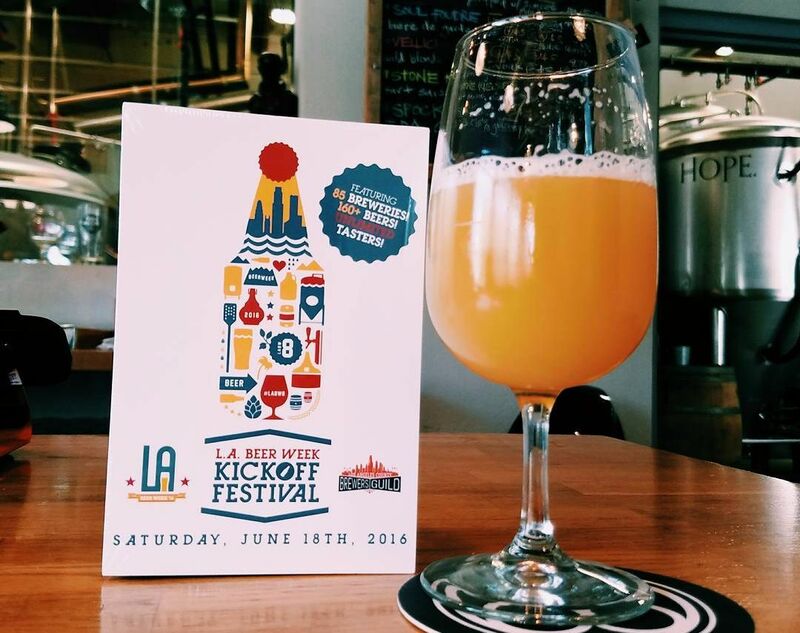 Let the snobbery unfold at the Kickoff Festival on Saturday at the Los Angeles Center Studios in DTLA. There will be 80+ craft breweries, live music, great food and all that jazz. This is a very seasonable ale, no? Deets: Los Angeles Center Studios; 6 - 4:30 p.m. GA tix are $45.00. Get them HERE. 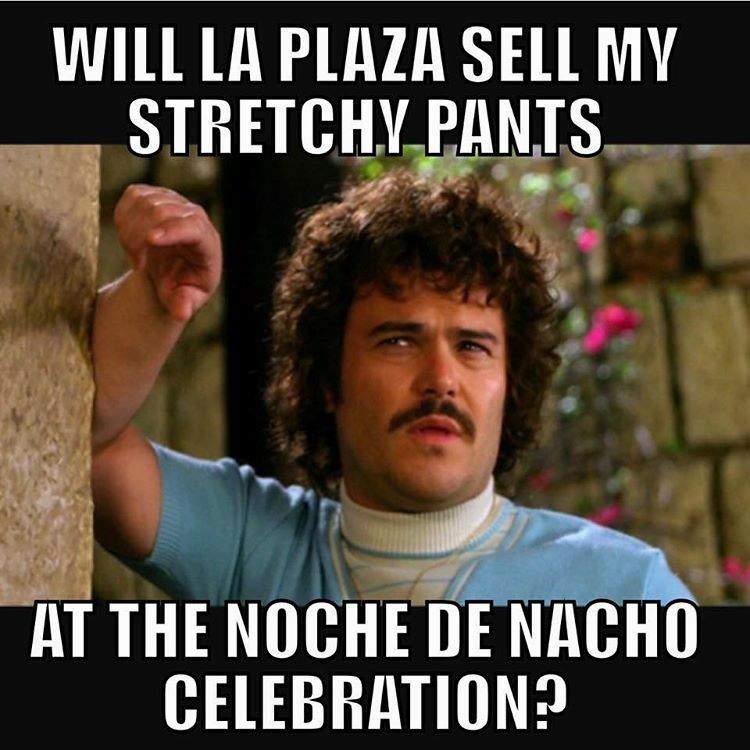 It’s hard to believe, but it’s already been 10 years since Jack Black hit on a nun, inquiring if she would like to join him in his quarters for some toast when he played a cook at a Mexican monastery in Nacho Libre. Put on your favorite luchador mask and/or stretchy pants and relive the so-bad-it’s-good lucha-filled memories in DTLA. This is an outdoor anniversary screening, accompanied by real lucha libre and live music by cumbia group El Conjunto Nueva Ola. The event is free. Deets: LA Plaza De Culturas Y Artes; 5 p.m. More info HERE. We’ve all seen those pretentious Instagrams of those pretentious New Yorkers and their pretentious foods in pretentious Brooklyn at Smorgasburg. Cut the crap and admit it: we have Smorgasburg envy. 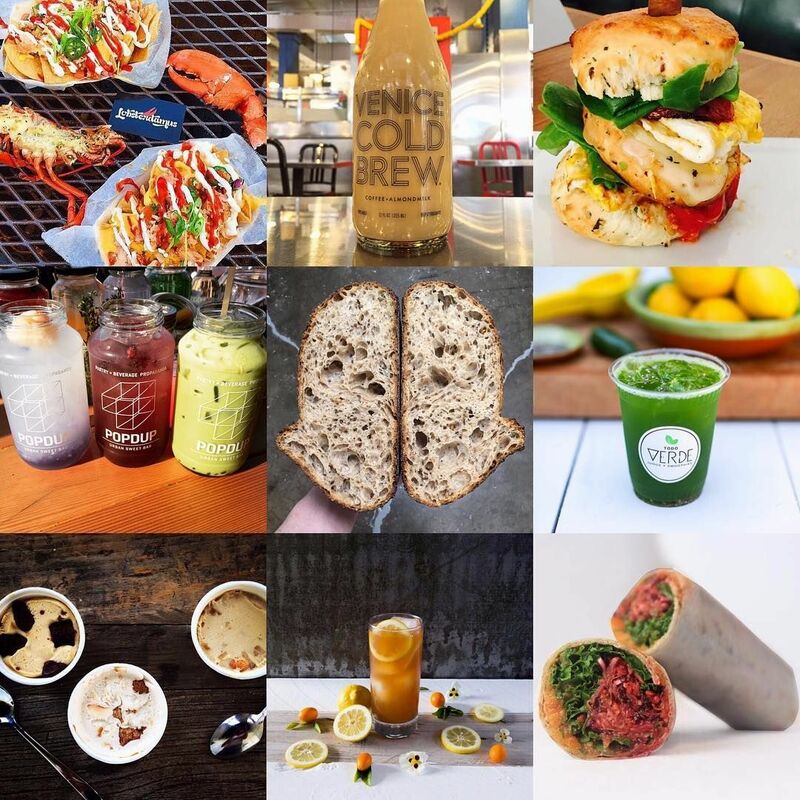 Well Los Angeles, we’re in luck because the massive food hall has landed in LA and it’s all happening Downtown this Sunday. There will be about 100 vendors to quench all of your burger, pastrami, taco and donut desires. This is just a sneak peak for the transformation of Alameda Square into Row DTLA set to open later in summer 2016, so get hyped. Deets: Alameda Produce Market; 10 a.m. - 6 p.m. More HERE. Just in time for summer solstice, Athleta and Suja are hooking it up with free yoga and juice on the beach. There will be three back-to-back yoga classes hosted by Athleta starting at 9 a.m., 10 a.m. and 11 a.m. After class, mosey to the Athleta store on the Santa Monica Promenade for a Free Juice Bar by Suja, flower crowns, raffles and surprises. While the event is free, RSVPing is highly advised as everyone and their yoga pant wearing Moms are tryna get in on this. Deets: Santa Monica Beach; Where exactly? Contact event organizers. Header image courtesy of LA Beer Fest and thumbnail image courtesy of LA Beer Week. Breeze is a public bike share program brought to you by the City of Santa Monica and built to empower personal mobility, heighten livability, augment existing transit, stimulate economic growth, and promote an active and healthy lifestyle for residents and visitors in Santa Monica.